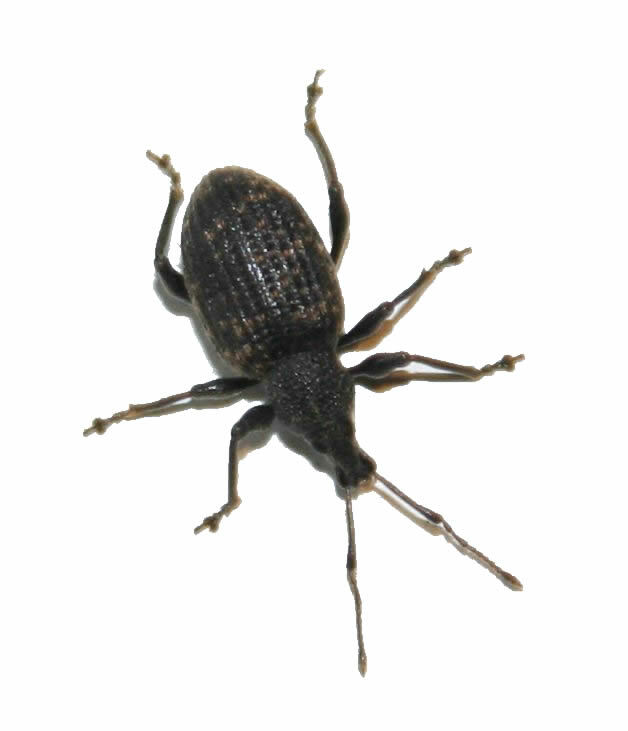 The Weevil (Curculionidae). Note the distinctive long beak-like snout or 'rostrum' and clubbed antennae. In Britain, there are 26 families of Weevil.